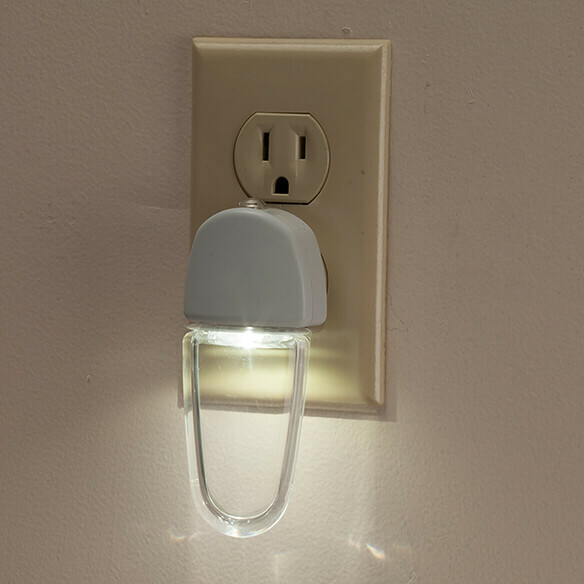 Smart LED sensor nightlights cast a soft glow only when needed, automatically shutting off to save you energy and money. Energy-efficient LED bulbs feature curved lenses that evenly distribute light for added safety and visibility in bedrooms, bathrooms, hallways, and more. Sensors automatically turn nightlights on at dusk and off at dawn, so you never have to struggle with switches. 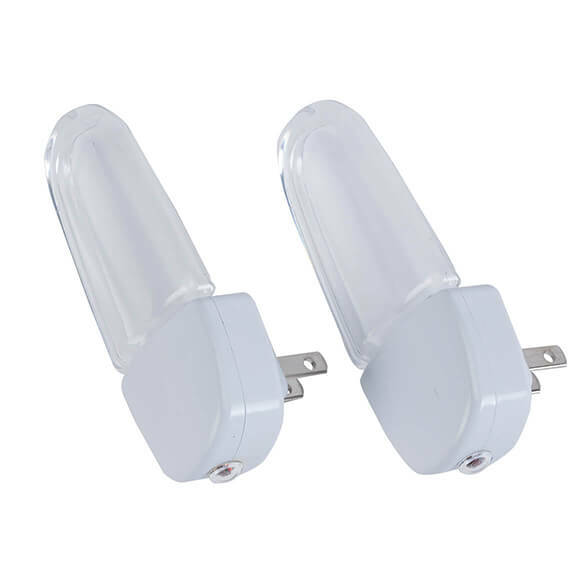 Includes 2 UL-listed, durable plastic LED night lights, each approx. 1 3/4”L x 1”W x 4”H. These are great size and just bright enough. Attractive also, not like those other ones that stick way out. I bought 4 more. And for the price, cant beat them. Have one in every room. For the price who could say no. do the led nightlights come with bulbs or have to buy bulbs separate. thanks? BEST ANSWER: They are all set to go...and boy, do they throw off some light! Well worth it! These don't have replaceable bulbs...once they go out, they're out, but my experience is they last for years! Thank you for your question. Unfortunately we do not carry any replacement bulbs. We hope this information will be of help to you. 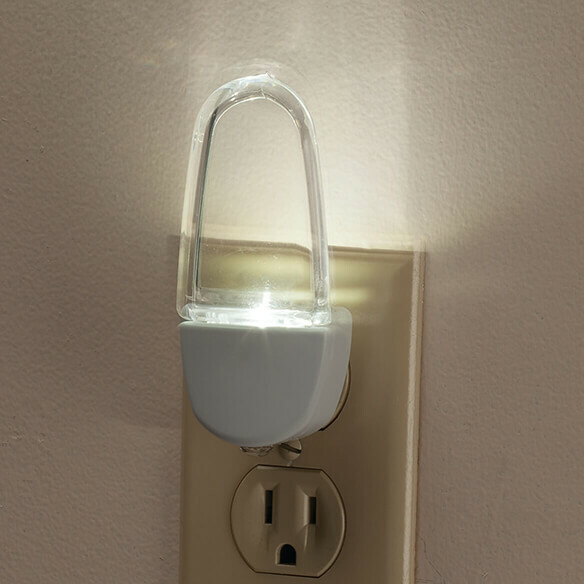 the led nightlights come with the bulbs, all you have to do is plug it in. i like it, it's soft light. They come with the bulbs. They are great. I am glad I made my purchase. Has bulbs. Goes off in daylight. On in dark.